Skye Gravestones | James & Mary (Beaton) Macdonald & family. James & Mary (Beaton) Macdonald & family. 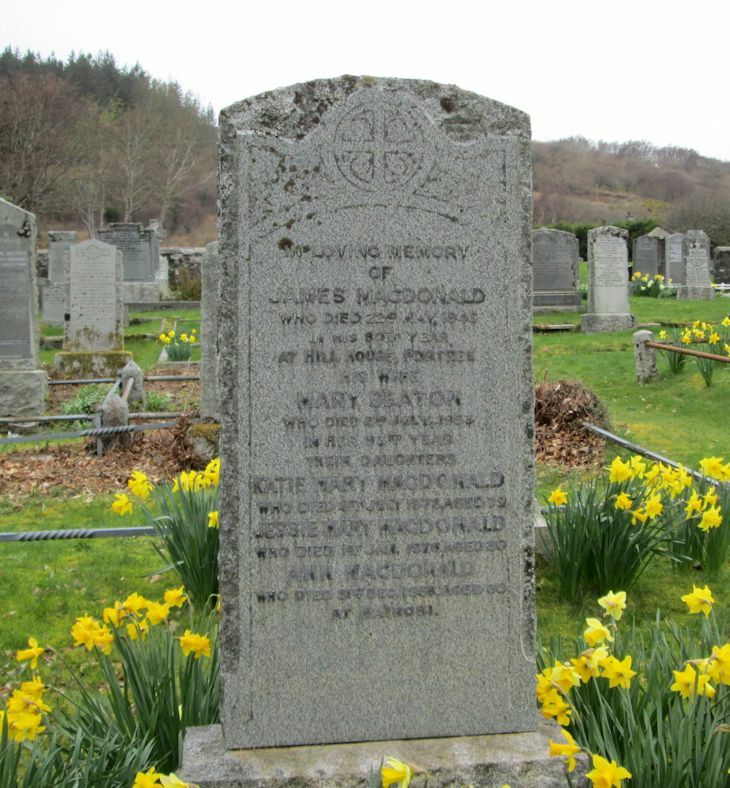 In loving memory of/JAMES MACDONALD/who died 22nd May 1945/in his 80th year/at Hill House, Portree/his wife/MARY BEATON/who died 2nd July 1953/in her 93rd year/their daughters/KATE MARY MACDONALD/who died 9th July 1973, aged 79/JESSIE MARY MACDONALD/who died 1st Jan. 1976 aged 80/ANN MACDONALD/who died 31st Dec. 1958 aged 60/at Nairobi.